Innovation has always been at the heart of BT's business - it's vital to the company's strategy for growth. The brand team wanted to bring the extensive and disparate range of innovative projects and activities together, to unify the company's efforts with a single expression. They came up with the name Ingenious and asked us to create a visual identity to represent it. 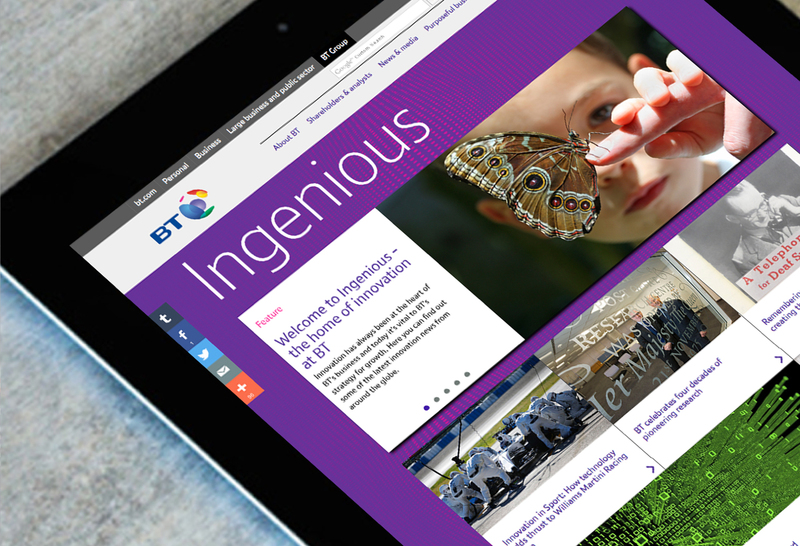 What we came up with was rolled out on BT's PLC site, confidently announcing BT's ongoing activities in innovation. 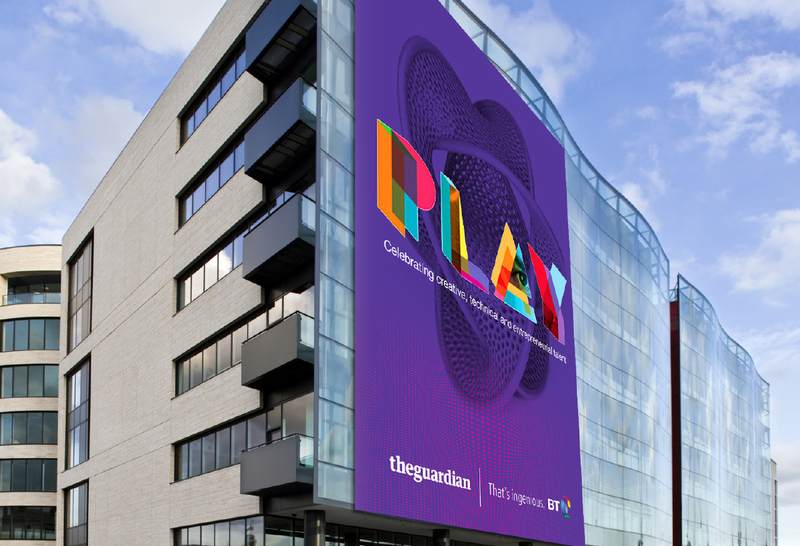 Further emphasizing BT's investment in this area, BT's 2015 makeover of their Newgate Street headquarters reception showcased Ingenious. 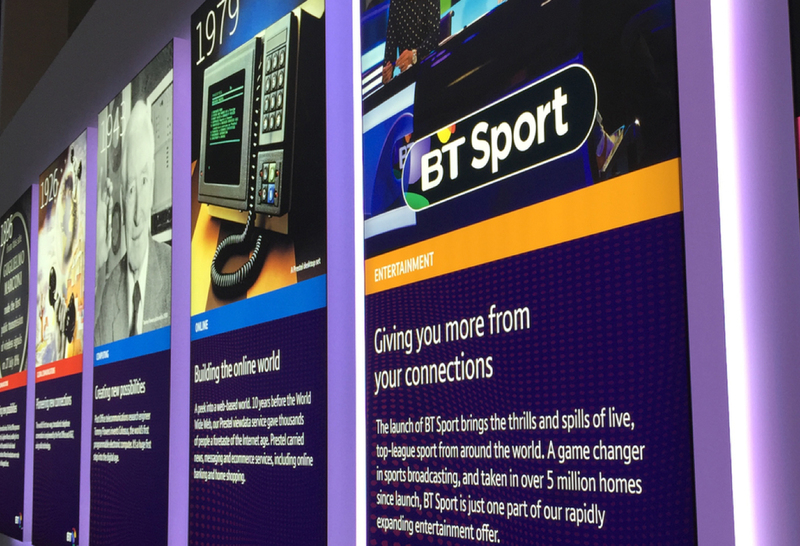 We worked with BT on the reception rebranding, which included interior visualisation, schematics, timeline and messaging. The result was enthusiastically received.